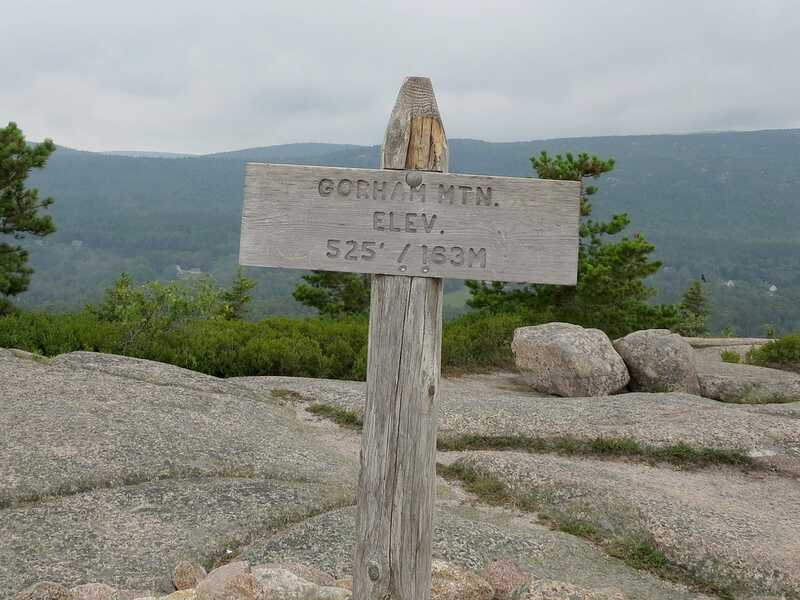 With an elevation of 525 feet (yes, you read that right), Gorham Mountain is far from a large mountain. 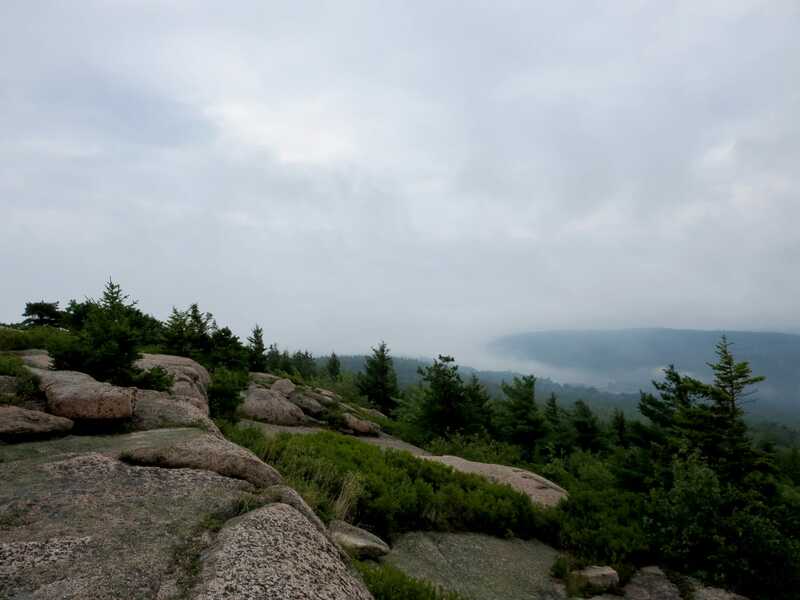 In fact, it’s not even one of the taller mountains on Mount Desert Island. However, its proximity to the ocean produces incredible views that make you feel like you are much higher than 525 feet. 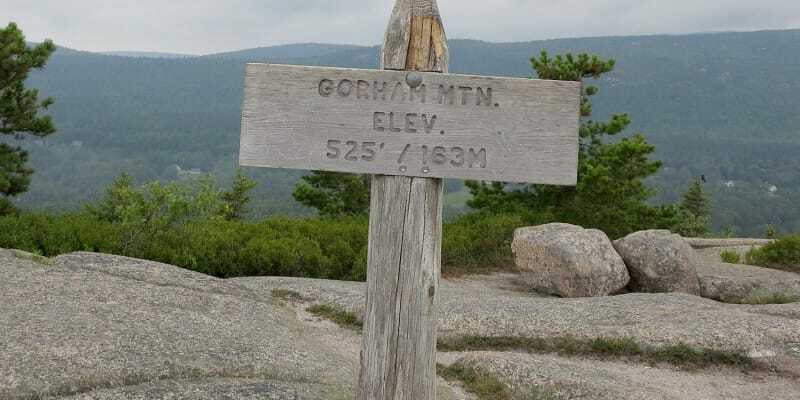 The Gorham Mountain Trail begins right off of Park Loop Road (see directions below) and begins ascending gradually through a short, flat wooded section before hitting rockier terrain. We started our hike with a little drizzle falling and skies overcast, hoping for a clearing once we reached higher ground. Less than a half-mile from the trailhead, we reached the Waldron Bates memorial plaque and continued upward. 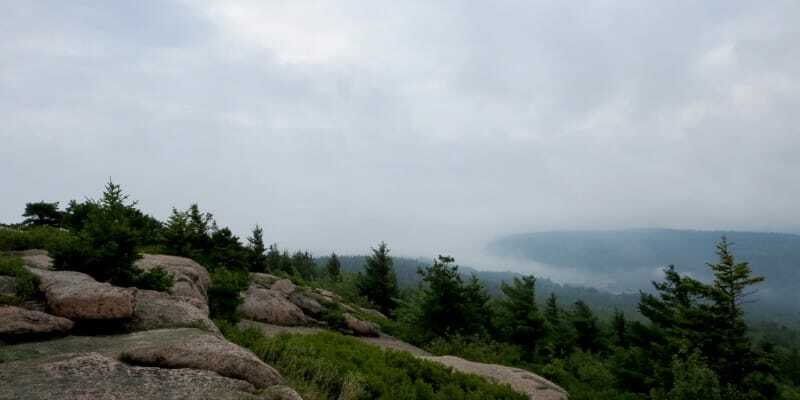 Bates was a trail- and cairn-builder from Acadia’s early days. From here, we continued on, heading up the mostly rocky trail until some views started to pop out here and there. Soon, we reached what we originally thought to be the summit, but this turned out to be a false summit, albeit one with great views. Continuing along the summit plateau, we we’ve our way to the true summit, and took some obligatory pictures with the wooden summit sign. 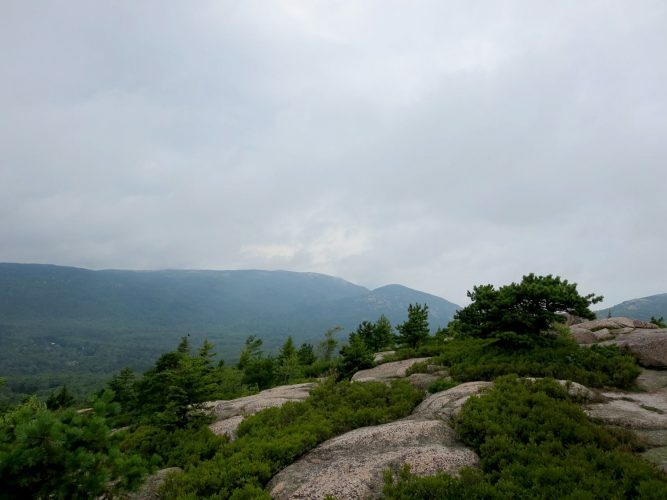 Note: There is a spur trail off of the Gorham Mountain Trail that is reportedly well worth the additional hiking and scrambling – the Cadillac Cliffs Trail. 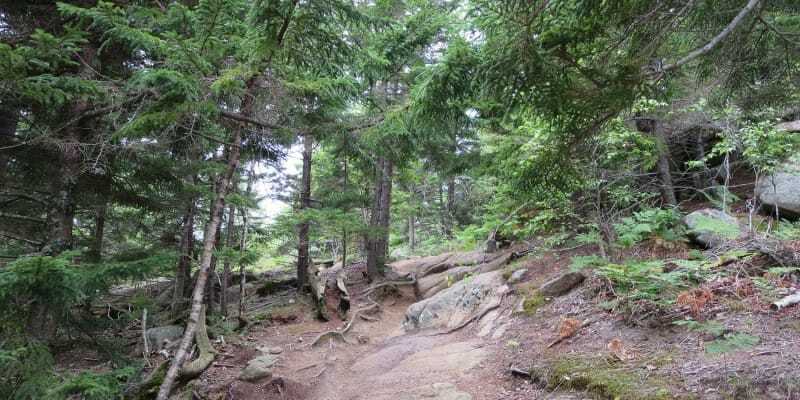 Unfortunately, we were unable to test out this trail and confirm its awesomeness (tremendous views, old sea caves from when the sea was 200+ feet higher, boulder scrambling, etc.) on this trip. Follow Park Loop Road for about 3 miles until it splits. Take a hard left and continue on this one-way section of the loop toward Sand Beach. 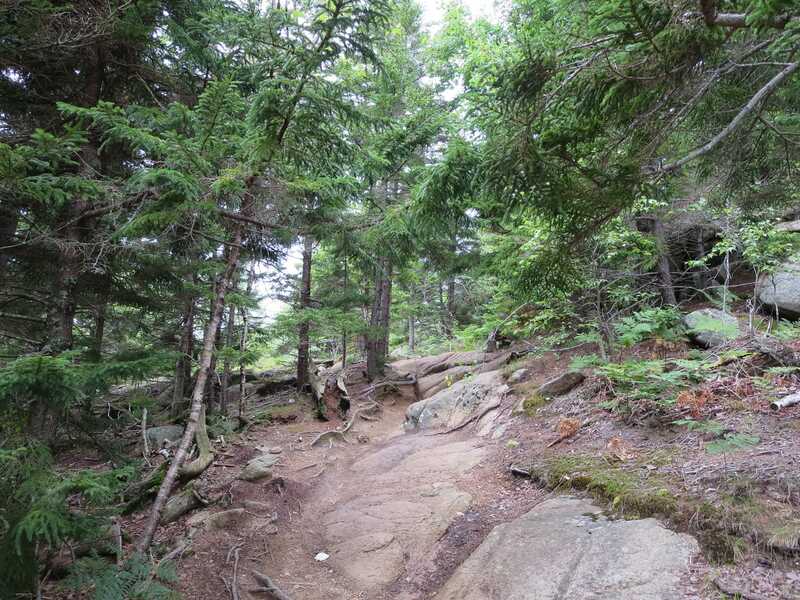 The parking lot for the Gorham Mountain Trail is about a quarter-mile past Thunder Hole.